Summer will be here before you know it, and there is no better time than now to update your outdoor area. It is likely that most of you will want your garden space to look fantastic for the sunny months that are ahead. After all, nobody wants to sit on rusty chairs or be surrounded by weeds when they are trying to relax and enjoy one of the cherished warm days we are blessed with. In this guide, we are going to deal with one area of garden design: your furniture! In order to ensure your garden area looks fabulous for the upcoming months, read on to discover the top tips and trends in rattan outdoor furniture. Day beds are slowly creeping back into fashion and by the time summer gets here they are assured to be a popular trend. They add a lavish and glamorous quality to any outdoor space, yet at the same time you cannot deny how comfortable and relaxing they are either. If you are looking to add some luxury to your garden then this is the perfect way of doing so. Furthermore, make sure you find the best part in your garden for the day bed to be placed so that you can relax in peace and serenity. If you can’t afford a new set of patio tables and chairs then why not give them an upgrade by purchasing some new cushions? You can give your furniture a completely new image by changing the fabrics that are incorporated. Opting for something that is bright and vivid is the best way to bring energy and liveliness to the outdoors for the months that are ahead. And don’t feel like you have to go for a block colour either; there are some gorgeous and intriguing patterned fabrics available too. The key to style success in the garden this year is to keep everything simplistic and minimalistic. Don’t try and overcomplicate things by incorporating an array of different styles and including too many furniture pieces and outdoor accessories in your garden area. Most of the chairs and sofas that are available online at the moment play to this trend. They offer a classic and contemporary feel with the added benefit of comfort. Another brilliant trend for summer is that of hanging chairs. Not only do these look fantastic but they provide an excellent way to wind down after a tough day in the office. These chairs look fantastic and are assured to add a show-stopping edge to any garden. Not only is their image impressive, but most reviews are in agreement that they tend to be extremely comfortable too. First thing is first; all rattan furniture needs to be cleaned in order to ensure that the quality is maintained. The cleaning procedure is exceedingly easy and simple, nonetheless if done frequently it will help to ensure that your furniture set remains looking beautiful and of a high quality for many years to come. The first thing you need to do is get rid of all of the dust and dirt. Simply tilt your furniture to the side and brush this away. Once you have eliminated as much dust as possible the next step is to wash the rattan furniture set. All you need is a soapy solution; a mixture of water and mild soap. Use the brush in order to make sure you wash all areas. Pay careful attention in order to ensure you get in between the woven strands of rattan. Once you have cleaned all areas of the furniture set you then need to use clean water to rinse the soapy solution away. Leave your rattan furniture set to dry in the sunshine. Rattan is UV resistant so you need not worry about any damage occurring during the drying process. If you use your rattan furniture a lot then you may begin to notice that some of the weaves become slightly loose or have become damaged. This can also happen if you have had a few pest control issues. Insects and other pests love nothing more than damaging our belongings, especially wood items and such like. All you need to do is weave in new rattan in order to have your furniture set looking as good as new. By copying the weave of the rest of the furniture you should be able to effectively emulate the pattern. Nevertheless, if you have trouble then you will be able to easily find a diagram online to aid you. Furthermore, you should also check that the joints on all furniture, chairs, and the table are secure. If any of them are slightly loose then simply re-glue them or use screws to ensure they do not come apart. If you notice that the colour of your furniture set is starting to fade then don’t worry as this can easily be fixed. All you need to do is refinish the rattan with paint. Make sure you clean the furniture set first so that the substance is applied evenly and effectively. You should then spray the furniture with primer. A lot of people use a brush, however this is not recommended. A brush will result in excessive build up around the woven pattern. Once you have done this spray on the paint – you may need to give the furniture two coats depending on the quality of paint and the loss of colour. Once this has been done, you will need to give the furniture an ample amount of time to dry. Complete the process by spraying on a clear coat of finish. 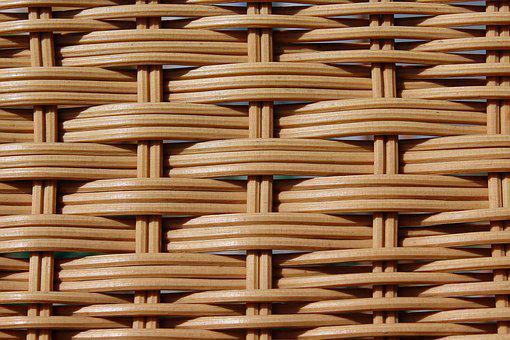 This will help to enhance the natural look of the rattan – a quality the material is widely loved for. If you want to make the most out of summer this year then you should definitely take note of the points mentioned in this article. Incorporating one or several of these trends is a sure fire way to make your garden space look fantastic and offer the perfect place to relax too. Just remember that no matter what type of rattan outdoor furniture you purchase it is imperative that you maintain it and clean it properly in order to ensure it looks as good as new for many years to come. How Are Your Pets Handling The Winter Weather?